Muslim-Christian Relations – The Tundra Tabloids……. Islam reality check: Over 1500 Christians in Pakistan live in fear of death penalty for blasphemy charges……. Islamo-run Bethlehem: Nativity Church priest scolds men harassing Christian female pilgrims, gets stabbed in response……. #Sh**hole: Nigerian authorities arrest man for converting from Islam to Christianity……. Dopey Popey off to al-Azhar for ‘interfaith-dialogue’ buffoonery’with head Sunni Islamonazi……..
Muslim allowed to sing in Scottish cathedral belts out koran verse denying Jesus is the Son of God……. CHRISTIAN PRESENCE IN THE MIDDLE EAST COMING TO AN END………..
SONIA BAILLEY: THE DANGER IN ISLAMIC PRAYER……..
POLISH CONVERT TO ISLAM PROMISES MASS EXECUTIONS IN ST.PETER’S SQUARE……. ORTHODOX BISHOP OF BERLIN: ISLAM AT ITS CORE IS ANTI-HUMAN……. ANDREW BOSTOM: EDUCATING CATHOLICS BILL O’REILLY AND LAURA INGRAHAM ABOUT MO & JESUS, ISLAM’S IMPACT ON CHRISTIANITY……. TURKEY IS ALMOST 100% ISLAMIC, WITH JEWS AND CHRISTIANS DRIVEN OUT OR MURDERED……. UGANDAN PASTOR (FORMER MUSLIM) TREATED IN ISRAEL FOR ACID BURNS: WEST DOESN’T UNDERSTAND ISLAMIC IDEOLOGY……. U.K.: SHARIA IN THE NURSERY: CHRISTIAN FIVE-YEAR-OLD BANNED FROM EATING HER ‘NON-HALAL’ CHICKEN SANDWICH……. LESSONS FOR TODAY CONCERNING MULTICULTURALISM VIS-A-VIS MUSLIMS……. BOB DYLAN’S QUOTE ABOUT CROATS A FACT, CHARGES OF RACISM IMITATES WHAT MUSLIMS DO WHEN CONFRONTED WITH ISLAMIC HISTORY……. DEP.TURK PM CAN’T WAIT TO TURN ANCIENT SYMBOLIC CHRISTIAN CHURCH INTO MOSQUE……. ITALIAN PRIEST STILL IN CAPTIVITY AFTER TRYING TO NEGOTIATE WITH SYRIAN JIHADIS……. CHRISTIANS EMPTIED FROM SYRIAN TOWNS AND CITIES……..
AL-AZHAR IN CAIRO WANTS POPE TO DECLARE ISLAM PEACEFUL IN MENDING RELATIONS WITH ROP……. You’ve got to be kidding me. More here. MORE ON MUSLIM DISCRIMINATION OF CHRISTIANS IN GAZA……. AUSTRIAN MUSLIM GROUP PETITIONS THE SAUDIS FOR ALLOWING CHRISTIANS THE RIGHT TO BUILD CHURCHES IN THE KINGDOM……. INTERVIEW ON CHRISTIAN RADIO WITH SRDJA TRIFKOVIC: THE DISAPPEARING CHRISTIANS IN THE MIDDLE EAST……..
OLD FATWA HOLDS SWAY, CHURCHES STILL BANNED IN KUWAIT……..
ROP TRUTH SERUM WATCH: SAUDI GRAND MUFTI CALLS FOR THE DESTRUCTION OF ALL CHURCHES IN THE M.E. REGION……..
Their promises are not worth the paper they’re written on. More here. TOP MUSLIM ADVISOR TO OBAMA BLOCKS MEETING WITH CHRISTIAN LEADER OF PERSECUTED LEBANESE CATHOLICS……. PAKISTAN: CHRISTIAN CHILD EXPELLED FOR SPELLING ERROR DEEMED ‘BLASPHEMOUS’…….. PEACEFUL COPTIC PROTEST TURNS VIOLENT AS MARCHERS ARE PELTED WITH STONES AND BOTTLES, 19 LEFT DEAD……. CHRISTIAN BRUTALLY BEATEN ON PAKISTAN DAY……. 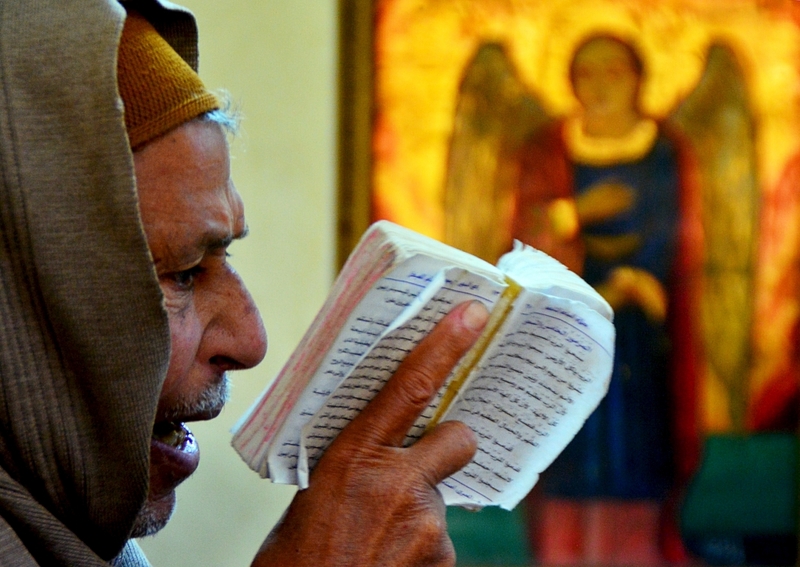 THE NEW DEMOCRATIC EGYPT: SHEIK INCITES FELLOW MUSLIMS TO BURN DOWN CHURCHES……..
VIDEO OF EGYPTIAN ARMY TEARING DOWN PROTECTIVE WALL AROUND COPT MONASTERY……. NIGERIA: PIOUS MUSLIM GROUP CLAIMS RESPONSIBILITY FOR MURDERING 38 CHRISTIANS ON CHRISTMAS EVE……. TERRORIZED CHRISTIANS READYING TO LEAVE MOSUL IRAQ……. GERMAN REPORT ABOUT CHRISTIANS IN CAIRO LIVING IN FILTH……..
CHRISTIAN WOMAN APPEALS HER DEATH SENTENCE FOR BLASPHEMY……..
WHO REMEMBERS ANYTHING ABOUT CHRISTIANS MURDERED BY MUSLIMS……? ITALIAN FILM CREW IN TUNISIA: OH, ISLAM HAS LOTS IN COMMON WITH JUDAISM AND CHRISTIANITY……. 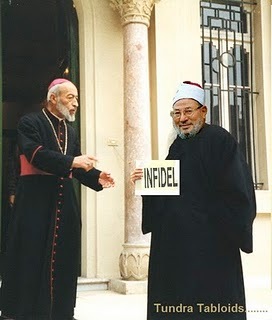 TWO BRAVE ARAB BISHOPS ADMIT ISLAM IS SUPREMACIST AND DIALOGUE WITH ITS MEMBERS MEANINGLESS……. SHOCK IN THE NETHERLANDS: WHERE MUSLIMS GO, INTIMIDATION OF THE NON-MUSLIM FOLLOWS……. THE DEARBORN FOUR ACQUITTED BY DEARBORN JURY OF INCITEMENT……. EGYPT: THOSE MONKS ARE DANGEROUS SO LETS ATTACK THEM WITH ALL WE’VE GOT……..
‘MODERATE’ INDONESIA WATCH: MUSLIMS ATTACK CHRISTIAN MINISTER AND WORSHIPPER IN FRONT OF CHURCH…….